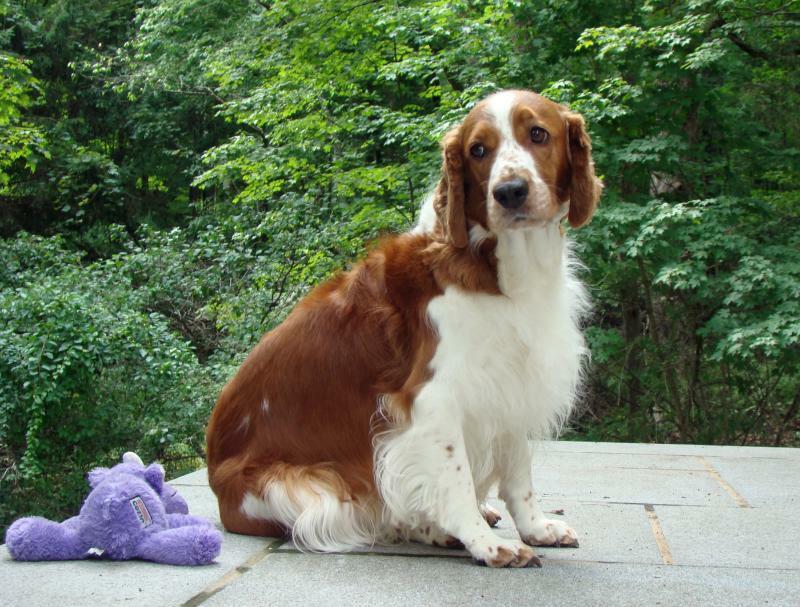 Health information is included with a biography & photo of each of our dogs. OFA hip scores of Fair, Good, or Excellent, Swedish hip scores of ua, and Finnish hip scores of A or B are all considered normal and free of hip dysplasia. Am. Ch. 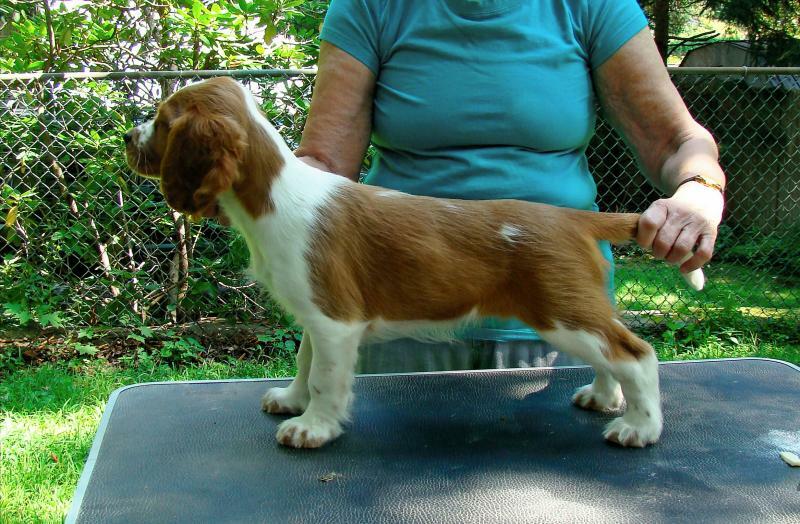 Ivywild's Meadowlace - "Pippa"
Pictured above at 9.5 weeks & 6 yrs old. 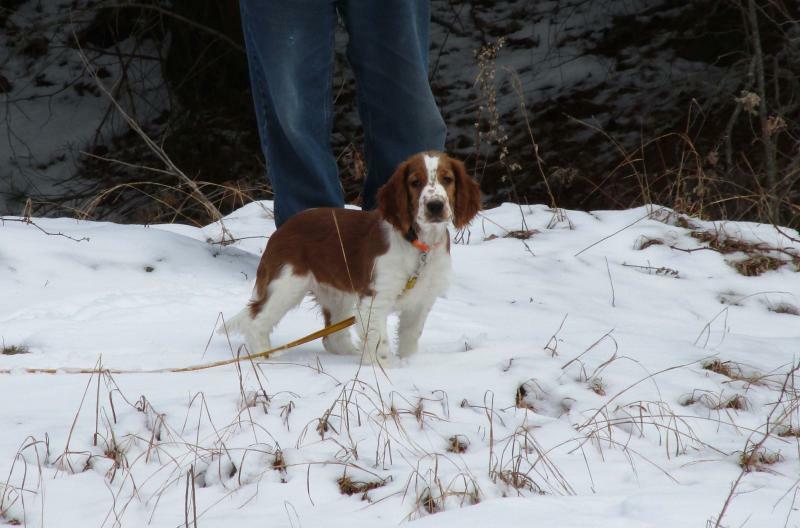 Pippa brings together our American & Finnish pedigree with distinguished UK kennels Ferndel & Glenbrows. Many thanks to Wogan and his owner Barbara Hepworth. We are excited to have a Laci daughter as a future Ivywild hopeful! Am. Ch. 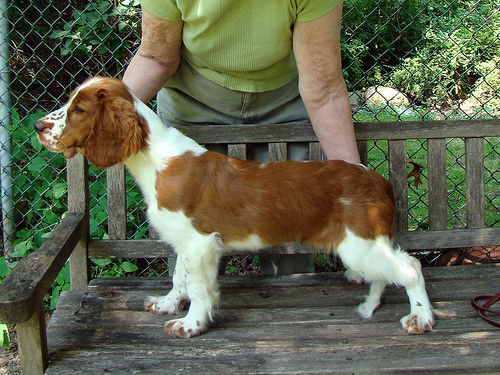 Ivywild's Seafire Maiden- "Laci"
Laci is pictured at 28 months of age. Laci is an absolute LOVE, probably one of the most affectionate dogs we've ever owned; eager to please, easy to train, gets along with our other pets and our many friends, family and visitors. 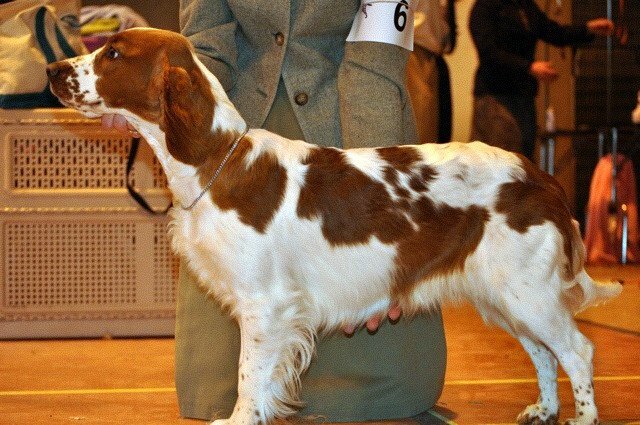 She finished her AKC championship easily with 4 majors at 17 mos. of age. 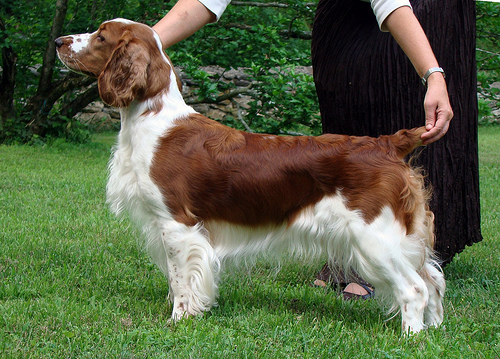 Laci's offspring from two litters carry on her sweet, biddable, wonderful temperament. 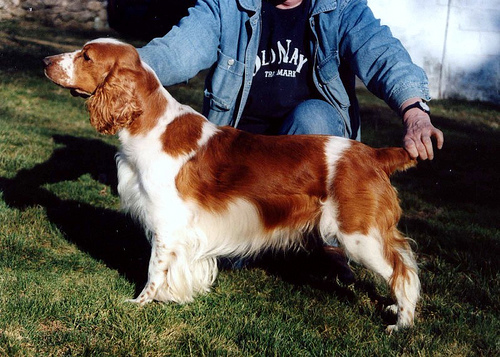 In Loving memory: Am CH Benton Ivy Garden - "Ivy"
Ivy was imported from Marjo Jaakkola, Benton Welsh Springers, Finland, to advance our breeding program. 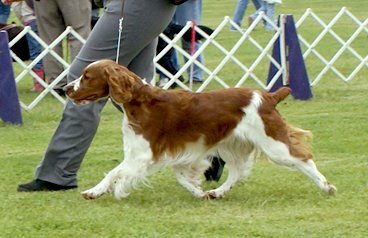 Ivy finished her AKC championship with 4 & 5 point majors at a Regional Specialty and has many nice Best of Breed wins to her credit. 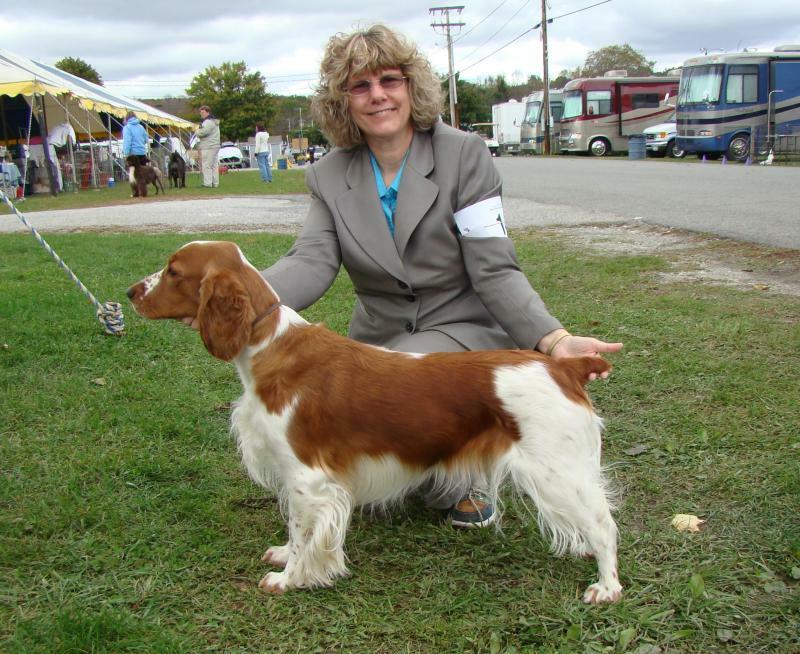 Ivy is the proud mother of nine AKC champions, and five "future hopefuls" in the show ring!. She's is a very good girl, always wanting to please us and "do the right thing". Health info - HIPS: OFA Excellent, EYES: Cerf '02, '06, '08 Normal, THYROID: OFA Normal TGAA-, Cardiac '08: Normal. Am. Ch. 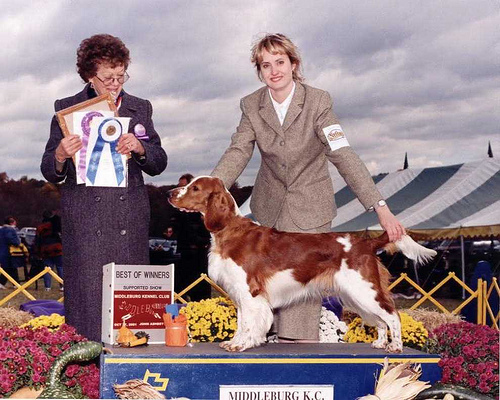 Wynfield's Maiden Voyager, CGC - "Sari"
Sari was our first Welsh Springer Spaniel "show dog" obtained gratefully from Heidi Yager, Wynfield Welsh Springers. Sari was the matriarch at Ivywild. 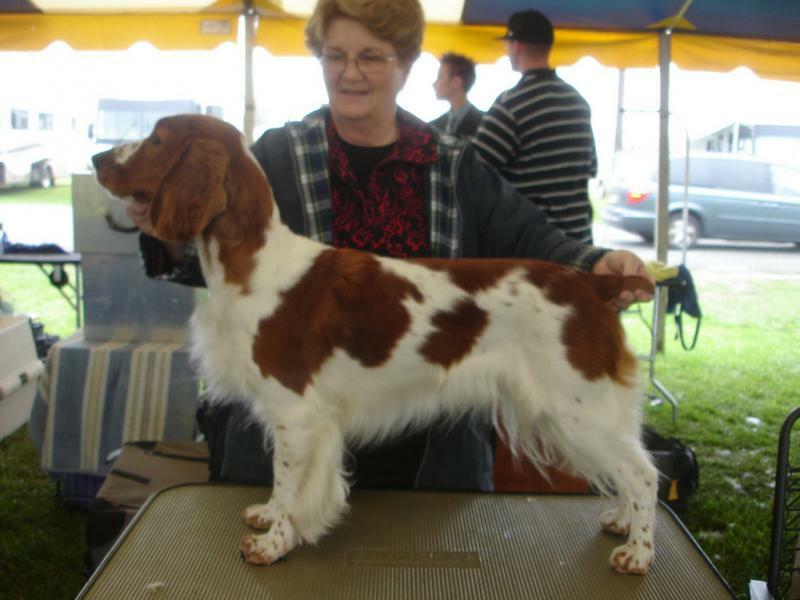 She finished her AKC championship at 2 years of age and had two litters. 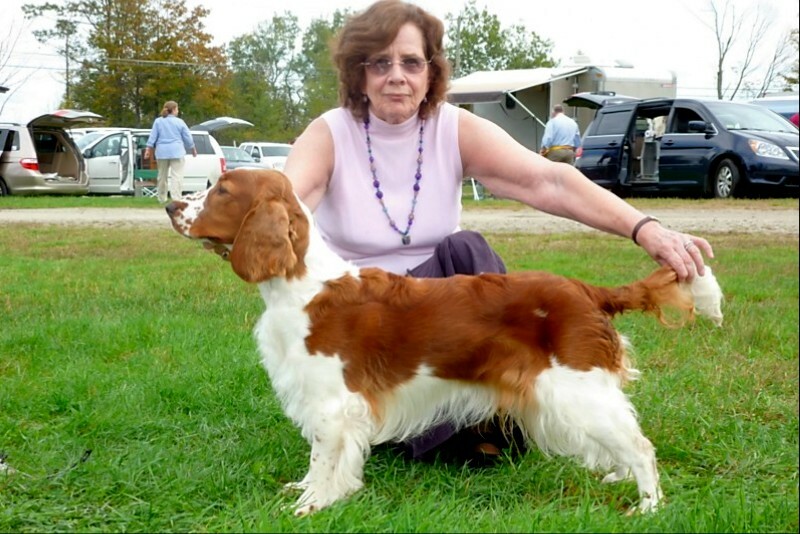 Her son "Batman" sired two wonderful litters at Ivywild & 2 AKC champions, and 4 future hopefuls. DOB: 05/29/2009 (Ch. Heatherstone's Jopa Blue x Ch. 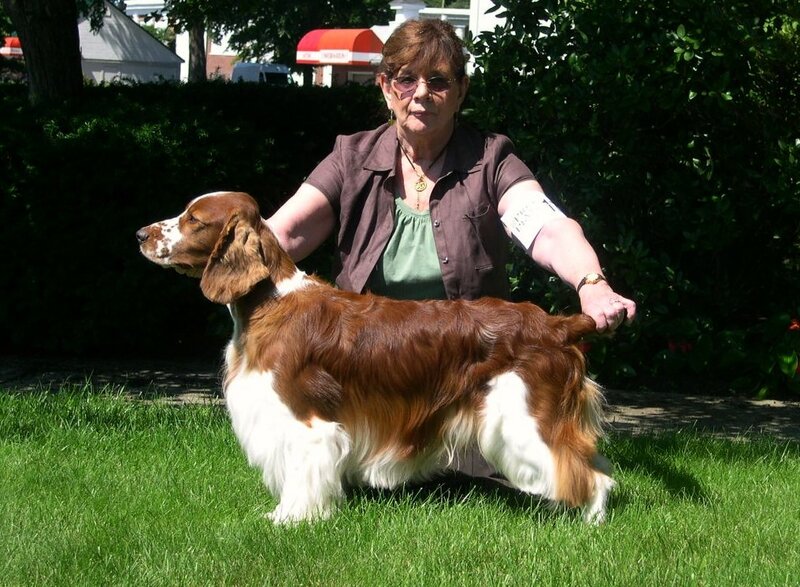 Benton Ivy Garden) Cocoa is pictured above at her first dog show February 27, 2009, owner-handled by Judy Russo. Am. Ch. 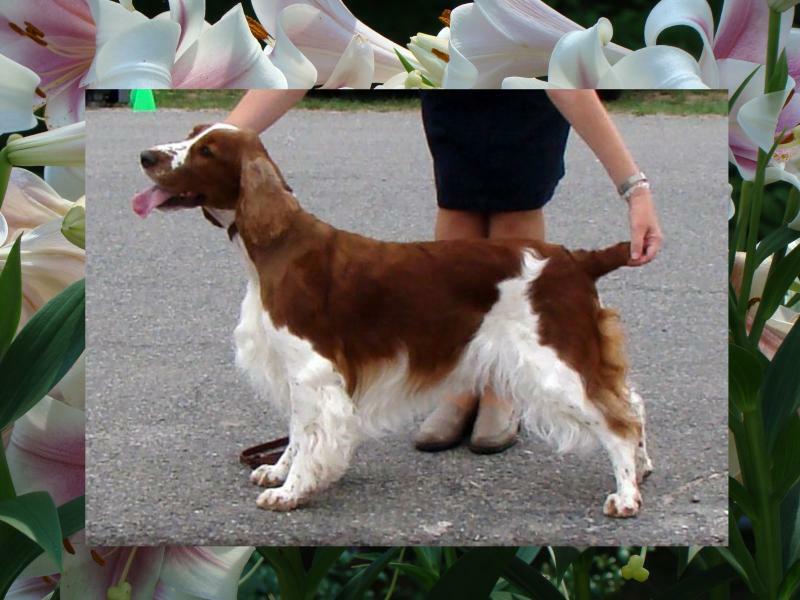 Ivywild's Lookin' Hi 'n Lo - "Lili"
"Lili" finished her AKC championship handled by Gina Ryan. We are very proud of this lovely girl and thank her co-owners Kathleen Leo and Martha Curtis for allowing her to be shown and bred! 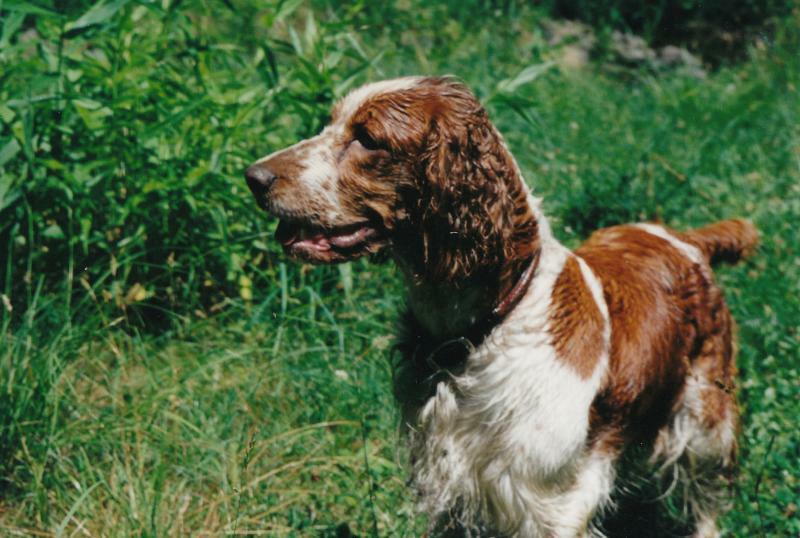 Copyright Ivywild Welsh Springer Spaniels, 2008. All rights reserved.